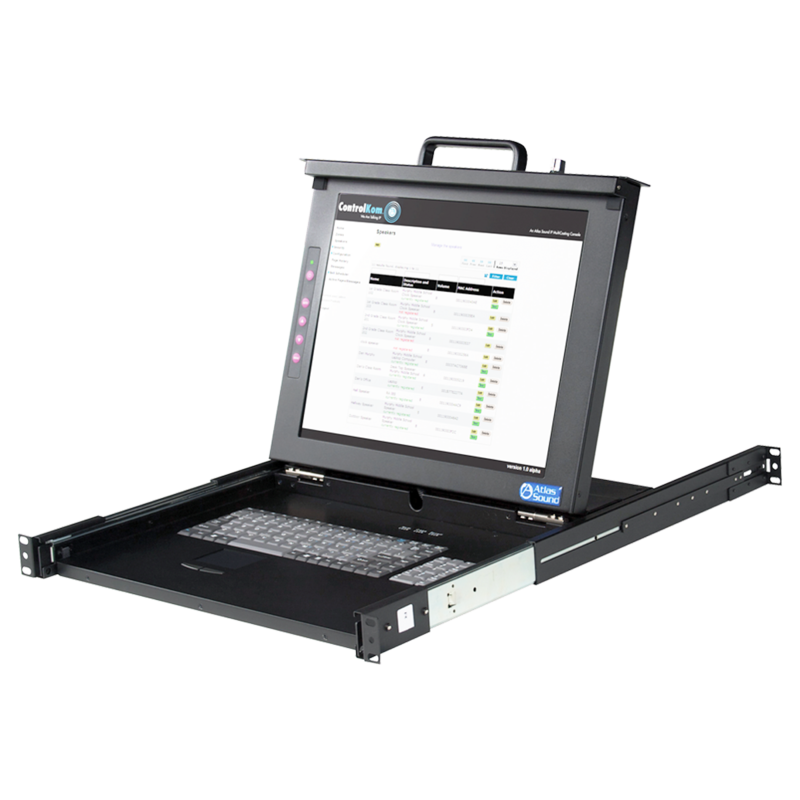 The AtlasIED MMK17-RM is a convenience solution that is designed to make network system monitoring easy. This keyboard/screen combination unit is only 1RU high and fits into most standard 19" rack designs and can connect to any PC via a standard VGA connection. This design is critical for technicians or network administrators to have easy access to their system computer without having to have available space for an external monitor, keyboard and mouse. 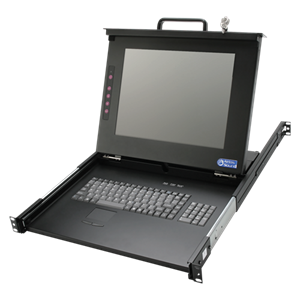 The design of the MMK17-RM allows the monitor, keyboard and mouse to be stowed safely within the rack when not in use and it can be easily accessed when needed. 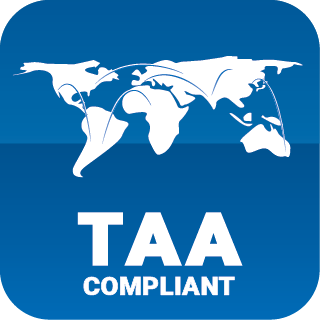 Racks and cabinets can remain locked until access is needed by an authorized staff member ensuring system security. This single rail console with optional modular KVM switch offers industrial level input solution to optimize your space utilization by controlling your systems in just 1RU. 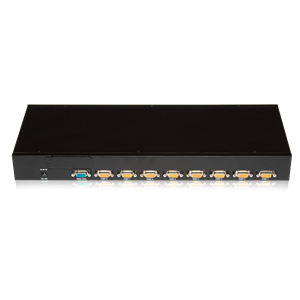 With its unique modular design, the (MMK-KVM8) 8 port KVM can be easily integrated. Expanding the ability of this 1RU Keyboard, Monitor, Mouse to control up to 8 computers.